A 4-5 hour tour in the less visited gems of the island! 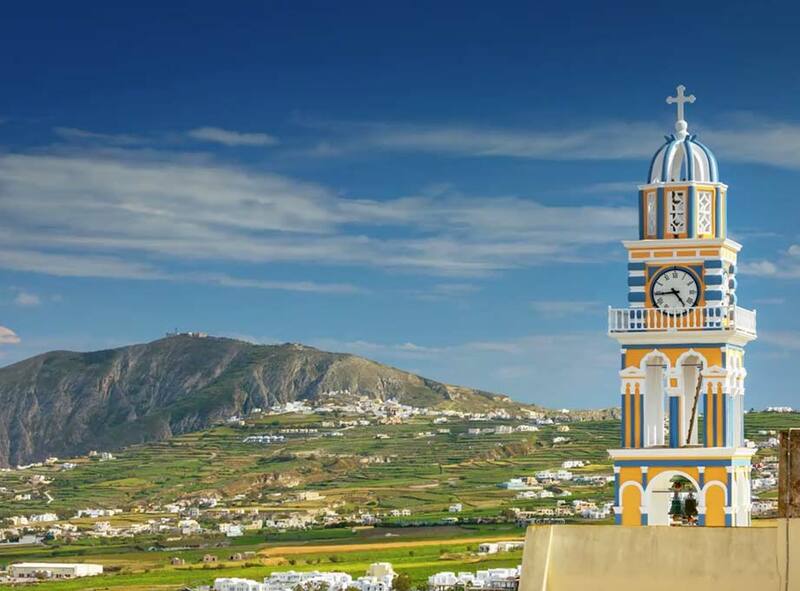 Visit the medieval settlement of Pyrgos and get guided at its fortress where the walk in the narrow, labyrinth street in the shadow of the steeples and the blue domes of the churches will take you to another era. Get socialized with the islanders under the shade of a tree at the square of the picturesque village as they will be drinking the traditional Greek coffee or some ouzo. 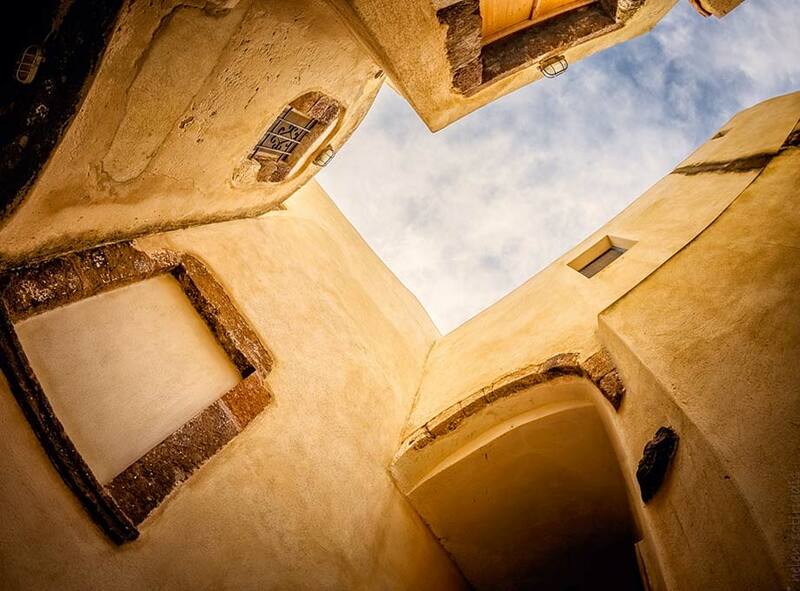 Enjoy the panoramic view from the most elevated part of the island: the monastery of Prophet Elias. A libation-wine tasting at the most beautiful of the wineries with great views perched on the caldera cliff, will follow as well as several photo stops in the most interesting places encountered in our way. 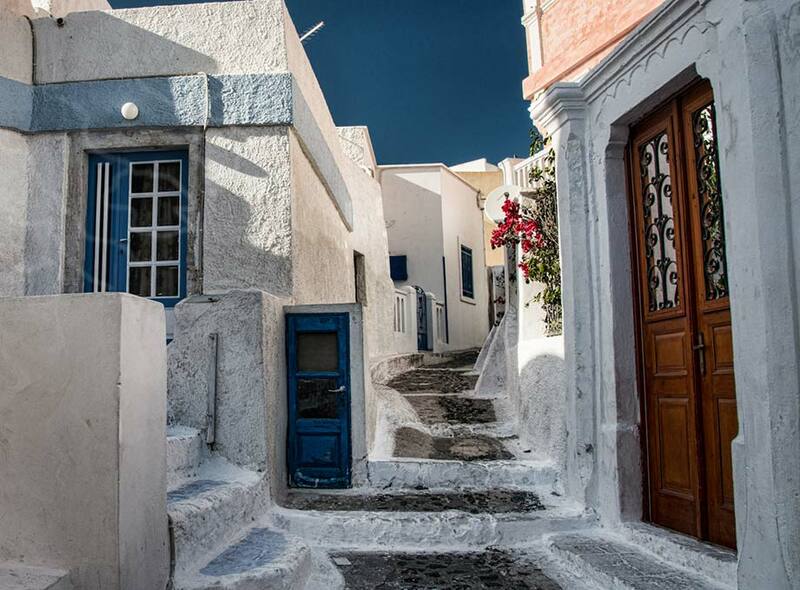 Stroll around the traditional part of the medieval settlement of Emporio, and fell the Aegean Sea breeze in one of the most typical black sandy beaches of Santorini. Let yourself be lost in the deep blue of the Mediterranean Sea and the amazing light that bathes the treasures of our history. 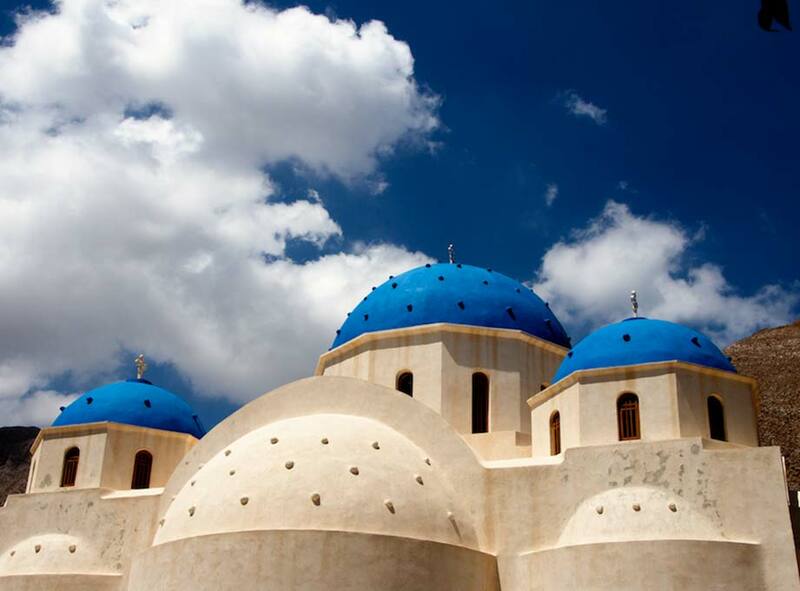 A tour especially designed for those who want to sample an alternative travelling experience back to Medieval times and feel how life in Cycladic islands was under the fear of the pirates’ invasions on the one hand, and the typical daily life at the places that are frequented by the locals on the other hand. Going up the traditional path till the castle of Pyrgos village usually takes us thirty minutes. We do the walking, which is not much but it is in an inclinated level , at a moderate pace and we stop very often at various spots so that explanations can be given about the interesting spots and elements.